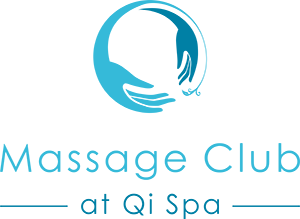 Join our new Qi Spa Massage Club at Northwood or Cambridge to give yourself the chance every month to relax, unwind and enjoy the benefits of massage to both mind and body. 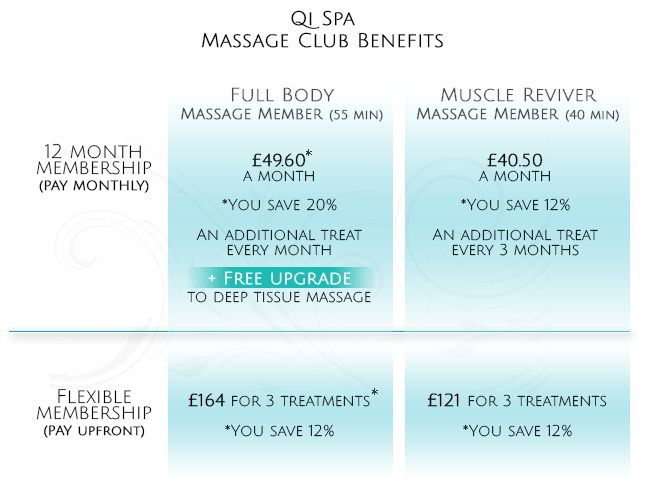 Our membership options allow you to spread the cost of your regular massages over 12 months, or pay up front. Look out for mini treats and gifts for our members! Massage treatments work on relieving muscle tension, stress and contribute to lymphatic drainage, improved blood circulation and a general sense of well being. Upgrade at any time: for a small extra fee you can try more specialised treatments such as Hot stones or Deep Tissue Massage. Making your appointment – we recommend you re-book after each treatment to help secure appointment time that suits you. Into the future we will grow our ‘community’ of Massage members and hold special member-only events with special talks on wellbeing topics such as diet and sleep therapy! Direct Debit forms will need to be completed online and once approved you can begin enjoying your Massage Club membership. Payments will be automatically deducted each month by direct debit. You can upgrade your massage for an additional fee to either a longer treatment or enjoy the added benefits of Hot Stone Massage, speak to your therapist or reception at the time of your treatment .